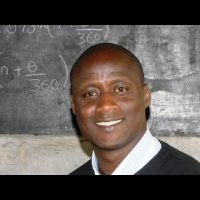 Peter Tabichi is a science teacher in rural Kenya who gives away 80 percent of his salary each month to people in the community who need it more than he does. Now he’s been named the winner of the Global Teacher Prize, a USD$1 million award supported by the Varkey Foundation based in London. Tabichi teaches at Keriko Secondary School in Pwani, where drought and famine are common. A full 95 percent of students live in poverty, one in three is orphaned, and those students who manage to avoid drugs or early marriage must walk seven kilometers to the school. When they get to Keriko, the teacher-student ratio is 58:1 and there is just one computer with limited Internet access. So it’s an impressive accomplishment that half of Tabichi’s students went on to college or university last year, and they’ve won international recognition for their STEM achievements. In fact, when Keriko Secondary School went to the Kenya Science and Engineering Fair 2018 with a project to help the hearing and visually impaired, they won national first place.